Trained as a Navy pilot before joining the U.S. Marine Corps, Capt. 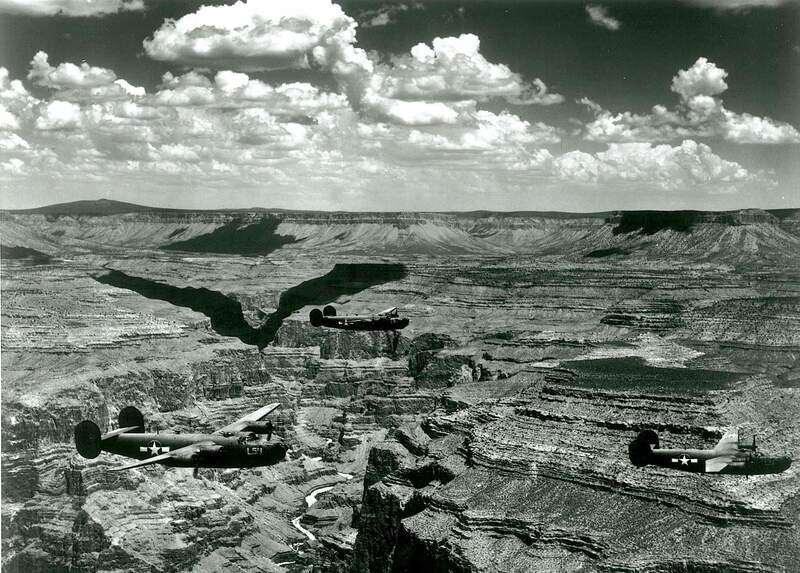 David Gulliford flew a B-24 Liberator bomber below the rim of the Grand Canyon to practice landscape photography. He would use aerial reconnaissance skills against the Japanese in the South Pacific from a base on the Solomon Islands. David Gulliford smiles in his flight suit. As the pilots left to fly over the Pacific, their equipment list included a parachute bag and harness, heated flying suit, helmet, ear phones, goggles, gloves, sunglasses, sleeping bag, pistol and knife, and a “Mae West” life jacket. Capt. David Gulliford poses with his flight crew. While other bomber crews painted bombs on their planes’ fuselages to mark successful missions, the pilots of VMD-254 painted cameras on the outside of their B-24 Liberators. Young Marine pilots stand beside the first B-24 bomber to arrive at Camp Kearny near San Diego. These planes had a notoriously poor safety record and hundreds crashed in the South Pacific. VMD-254 would become the first Marine photo squadron. 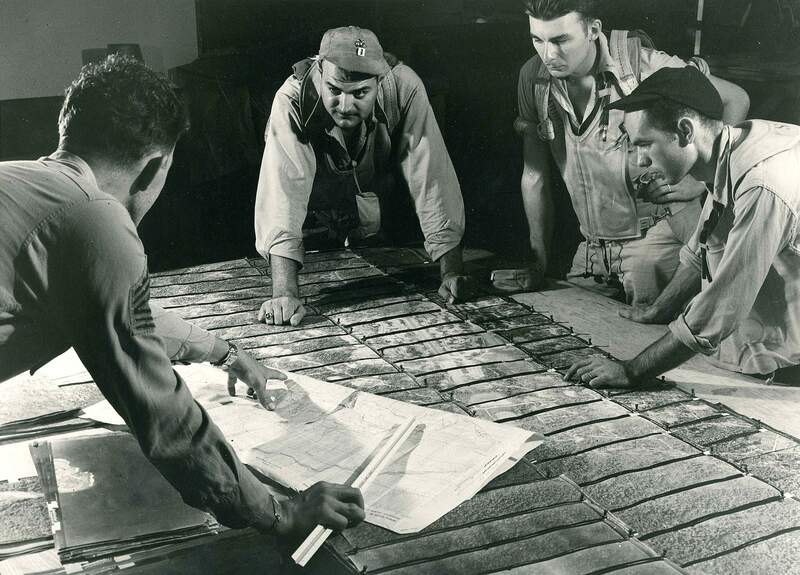 The squadron’s goal was to quickly make photo mosaic maps before land invasions by U.S. Marines. My dad grew up in the Great Depression and had nothing, not even his father’s name. An illegitimate son, he had to succeed on his own. He walked railroad tracks to pick up loose coal that fell off trains. He worked night shifts in Ohio steel mills. 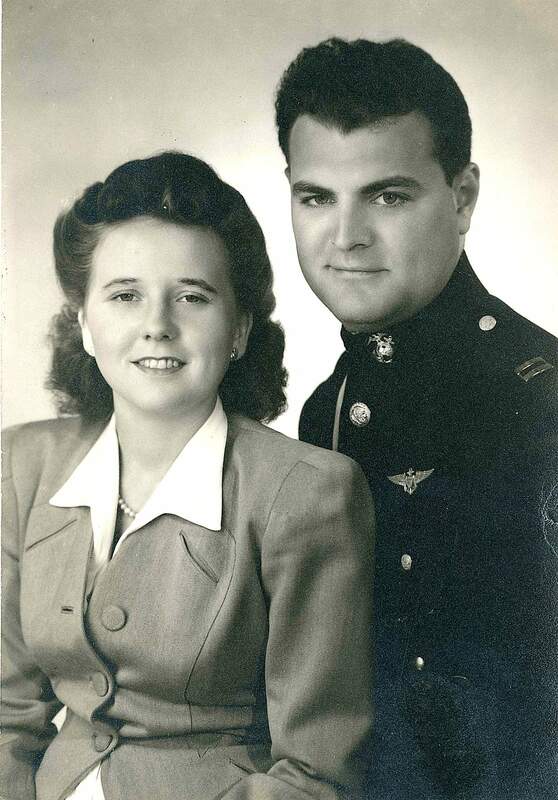 He could not afford college, so he attended flight school, earned his wings, joined the Navy and, when World War II broke out, was recruited into the U.S. Marines as a pilot to fly photo reconnaissance in the South Pacific. He flew the large, heavy, slow B-24 Liberator bombers that came to be known as aerial death traps. In the Pacific Ocean Areas Theatre, for every plane lost in combat, six crashed because of accidents. “As planes went, so went men,” wrote Laura Hillenbrand in Unbroken. “In the air corps, 35,946 personnel died in nonbattle situations, the vast majority of them in accidental crashes.” Unbroken is about Louis Zamperini, an Olympic runner whose B-24 plunged into the Pacific. He later endured savage beatings in Japanese concentration camps. 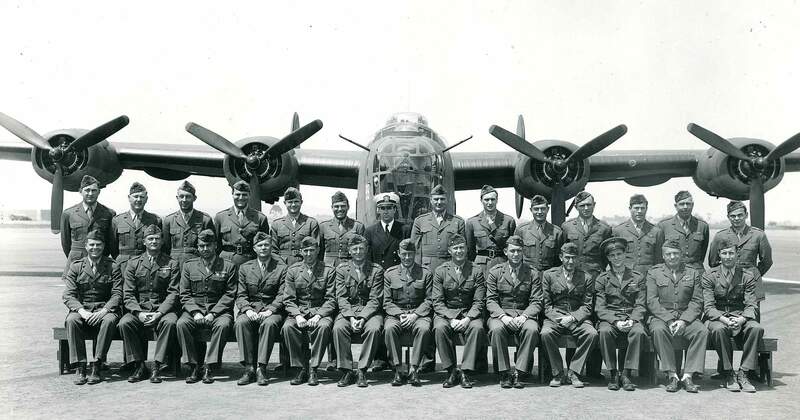 His B-24 went down as his crew searched for another missing B-24 and its crew. Hillenbrand writes that in just one month, January 1943, planes that Louie flew had mechanical defects including “two in-flight engine failures, a gas leak, oil-pressure problems and landing gear that locked – fortunately, in the down position.” And that was all in good weather. “B-24s were hard to manage even in smooth skies; in some tropical tempests, not even the combined strength of pilot and copilot could keep the plane in hand,” Hillenbrand wrote. HHHThe big bombers leaked fuel, yet flight crews often smoked cigarettes, sometimes causing their own destruction. Islands were hard to find in the Pacific and runways too short. In combat, the slow, lumbering bombers could hardly evade the fast-moving Japanese Zero fighter planes that buzzed at them, spitting machine gunfire and rapid death. Antiaircraft flak “burst into razor-sharp metal shards that sliced planes open.” Coming near targets, the American planes flew in straight lines to make their Norden bombsites effective, but what the pilots needed to do was to practice evasive action and fly erratically to avoid being hit. But they couldn’t. The Norden bombsites locked controls into a flight pattern. Top center, David Gulliford is photographed with the valuable aerial maps that the photo squadron VMD-254 created. Photographer and fellow Marine David Douglas Duncan took this image. He would become one of the top combat photographers of the 20th century, shooting dramatic images in Korea and the Vietnam War and also befriending and photographing Pablo Picasso. 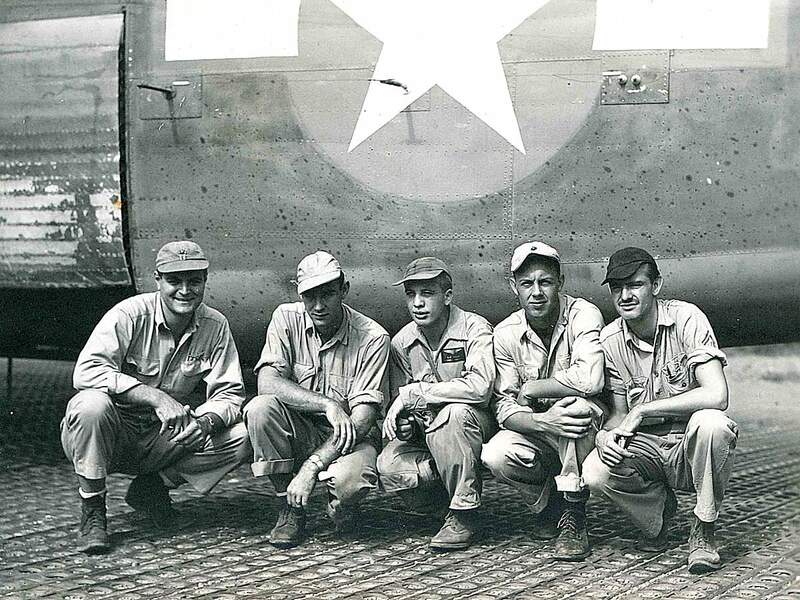 To leave the Pacific theater and return stateside, plane crews had to make 40 combat missions. Statistically, their survival rate hovered at 50 percent. It was a deadly, dangerous business winning the war and re-taking those Pacific islands. But at least the standard B-24 crew had plenty of machine guns, bombs and small arms. HHHMy dad kept his 1911 Colt .45 automatic in a shoulder holster under his left armpit, but he didn’t have many machine guns. And no bombs. Instead, he had cameras. He’d fly over Japanese installations and take their photos. They’d shoot at him or send up the deadly Zeros. He’d click camera shutters. The ground-pounding, island hopping, Marine grunts needed to know what they were getting into. They needed his photos so he headquartered in the Solomon Islands and Emirau, according to John G. Bishop’s book, Cameras Over the Pacific: Marine Photographic Squadron 254. “It is not widely known that the Marines ever had photographic reconnaissance squadrons during World War II ... High altitude photography made it possible to create maps of any area within the range of our photo planes. The photographs could also be scrutinized for enemy troop and weapons concentrations on islands where future invasions were planned ... There is no way of determining the number of American servicemen whose lives were spared by this system,” Bishop says. HHHWhere did my father learn his aerial survival techniques piloting the notoriously fallible B-24? I’ll never know because he died in a construction accident when I was 9, but there are plenty of family stories. Not the least of which is how he met my mother. She couldn’t afford college either, so she lied about her age and enlisted in flight school in Winona, Minnesota, not knowing that she’d be the only female in a class of handsome, dedicated, adventure-bound young men. She had her choice of eligible, high-flying bachelors. That’s where she met my father, but only after she had honed her own flight skills and became the first female to fly solo over North and South Dakota. That may not seem like much now, but in the months leading up to World War II, it was an accomplishment. And she was brave. The oldest of three sisters, she took a chance – on my father. In their wedding photograph, Mildred Jellis stands beside her husband, David Gulliford. They married as soon as he was commissioned as a pilot and an officer. Against her parents’ wishes, she took a long, lonely train ride from Winona, Minnesota, to Corpus Christi, Texas, to be with the man she loved. Against her parents’ wishes, and with no extra money, she bought a one-way train ticket from Winona to Corpus Christi, Texas, to marry a young pilot with no family and no prospects. Mildred Jellis left at night so there’d be fewer questions, fewer friends to see her off. Imagine that long train ride south across the country and worrying if she was doing the right thing. Nibbling at snacks. Eating apples. Not able to afford the dining car. But she was in love. As the war escalated, thousands of young men and women passionately embraced. Her fiancé David Oliver Gulliford had a cocky attitude, a great smile and he shared his dreams. At 6-foot-2, he could dominate a room full of people with his booming voice, close-clipped mustache and deep-set hazel eyes. She fell for him. He was in the Navy and soon to become a Marine pilot. Semper fidelis. Always faithful. Soon to ship out overseas like so many others. HHHProbably the Grand Canyon enters in when he was stationed at Marine Corps Air Station Mojave in Mojave, California, in 1943 in what would become VMD-254. I don’t have the particulars, but I do have the story, and a one-of-a-kind 11-by-14-inch photograph made from a black-and-white contact negative the same size. It was the Fairchild K-18 aerial camera that he would use in the Pacific piloting crew No. 11. But before he got to the ocean, he wanted to see the desert, and so he practiced with large-format cameras over the Grand Canyon. Family legend says that my father, who had a sense of humor, chose to fly into the canyon from the east out of the rising sun, which was the preferred Japanese method of aerial attack. As the loud roar of slow-moving B-24 bombers rumbled off canyon walls at dawn, terrified visitors on the South Rim craned their necks to see what was coming. As the four planes neared the exclusive hotel El Tovar, Capt. 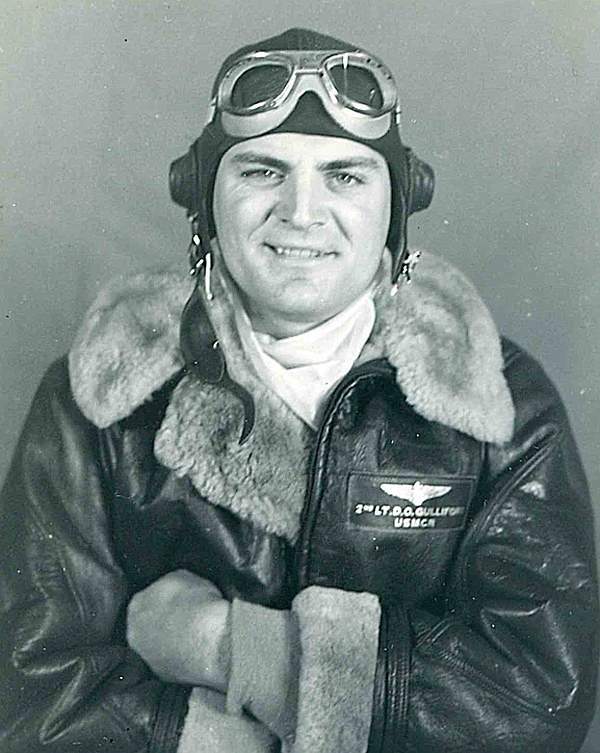 Gulliford ordered his three other pilots to join him flying sideways through the canyon displaying American symbols on their wings and fuselage. Recently-awakened tourists cheered, applauded, yelled and waved once the planes had been identified as American. Capt. Gulliford probably wasn’t supposed to fly his bombers into a national park, much less perpendicular to the steep canyon walls. These were slow, hard-to-maneuver B-24 Liberators, but he didn’t care. Always a risk-taker, he smiled behind his reflective aviator sunglasses and grinned when he looked eyeball to eyeball at the amazed park visitors. He knew he’d never get the chance again, so they flew in formation through the canyon, below the rim. Later during the flight, he photographed Lake Mead and Hoover Dam, but censors snipped the dam out of the photo as a security precaution. He retired from the U.S. Marine Corps as a major, and with family in tow, by the late 1950s, David Gulliford returned to the Grand Canyon driving a 1956 emerald green Packard Caribbean all the way from St. Paul, Minnesota, to Cameron, Arizona, and then along the rim. I have those photos, too. He loved the canyon and wanted his children to get to know it and to experience the serene sunrises and sunsets of the Southwest. The canyon endures. Rocks remain. Bright sunlight flashes off pine needles in the early minutes of morning, but never again will B-24 bombers, piloted by young Americans ready to defend their country, fly in formation below the rim.